When we talk about beneficial pets, service animals often come up in the conversation. It is a fact that service animals offer many benefits to us humans through various therapeutic and helpmate roles. For example, dogs are trained to detect seizures and help vision impaired humans navigate the surroundings. However, research has shown that the beneficial influence pets have on human health extends far beyond trained animal roles. 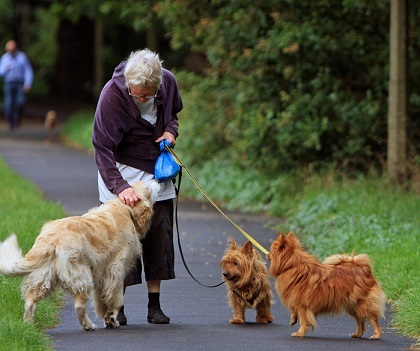 Amazingly, it has been found that companionship and the mutual bond between humans and animals improves our health. Pet owners get sick less often, require a doctor's care less often, suffer less from depression and have healthier hearts than people without pets, according to the National Center for Health Research. During the research studies that concluded pet owners have healthier hearts, it was discovered that lower blood pressure and a lower resting heart rate were measurable benefits of having companion pets. Additional studies showed that petting your animal companion not only lowers blood pressure, but cholesterol as well. When it comes to stress in general, dogs can help. In researching this article I ran across a study that particularly interested me personally because the test subjects were all women who have dogs as pets. It was conducted by the State University of New York at Buffalo. The focus of the study was to see how pets, a close friend of the subject's choice and the experimenter, each affected the subject's performance of a stressful task. In the paper reporting the results, it was written that when a woman was performing the task with her dog present, she was obviously less psychologically threatened than when performing the task with just the experimenter present and when doing the task with only a close human companion present. Forty-five women took part in this study. I find the results fascinating. I've had dogs since childhood and from my personal experience, I'm not the least surprised at the results. And I dare say the majority of pet owners could say the same thing. Benefits to the elderly, researchers believe, may include providing a sense of purpose. Studies have shown benefits to children include helping them "develop greater empathy, higher self esteem, and increased participation in social and physical activities". Researchers also believe that having a pet improves all of our social interactions with other people. Many pet owners will not be surprised at any of this. Right?